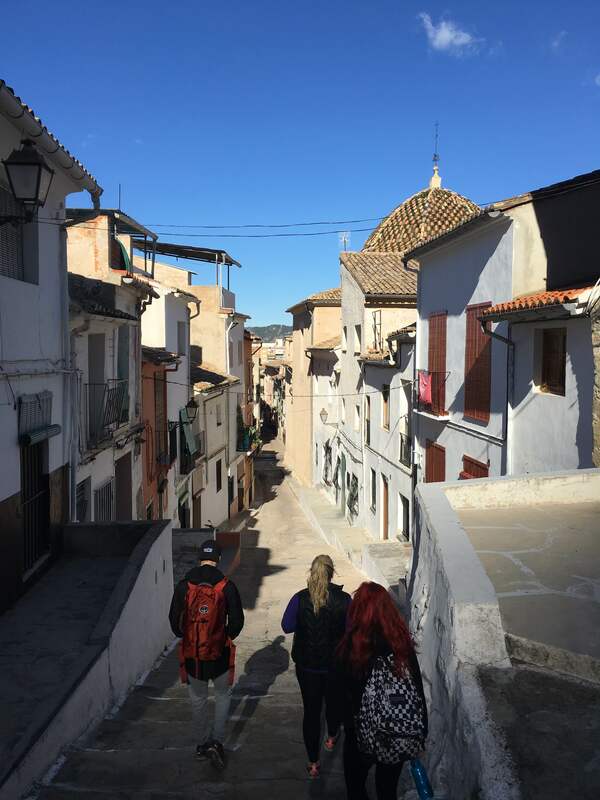 Ten Cultural Differences Between Spain and the U.S.
Stephanie Matsen is a student at the University of Utah and an ISA Featured Blogger. 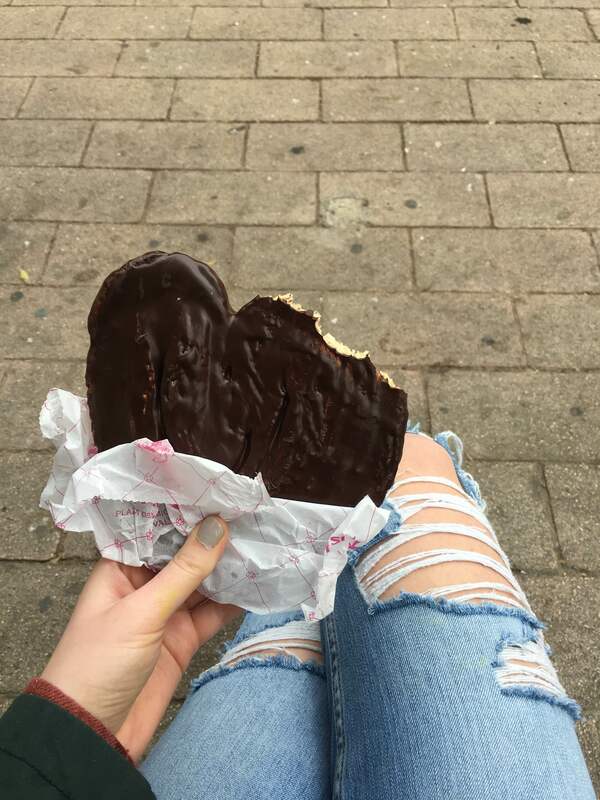 She is currently studying abroad with ISA in Valencia, Spain. It is no surprise that there are some culinary differences in Spain than the U.S. In Spain they eat a lot more bread and fish than back home. One of my favorite things has been trying all the different tapas. 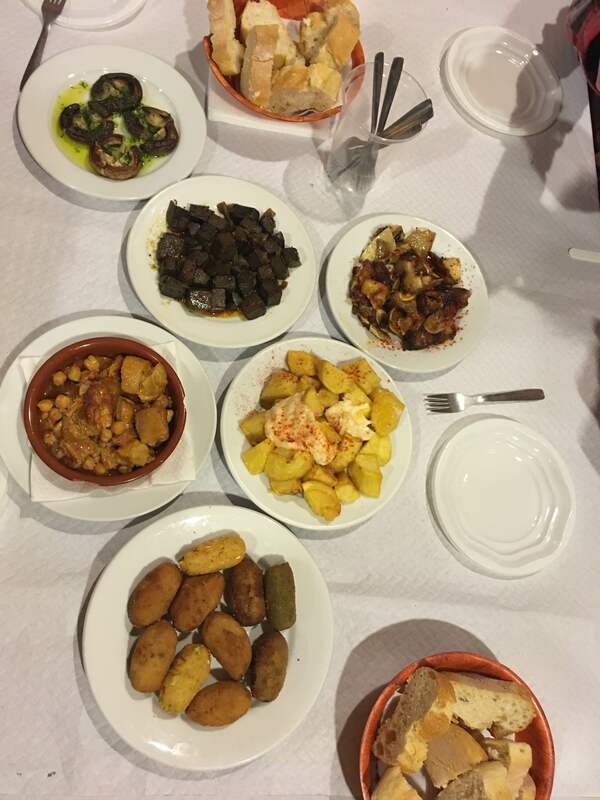 There are various of types of tapas that are made with a variety of ingredients from anchovies to potatoes. Trying an assortment of tapas with ISA at a restaurant in Valencia. The earliest Spaniards eat dinner is 9pm. This was a struggle getting use to because in the U.S., typical dinner time is about 5 or 6pm. I learned to take full advantage of the snack that is served at 5:30pm to hold me over until dinner. Most people in Spain don’t own cars, so usually Spaniards get round by walking. It is not uncommon for a “short walk” to be about 30 minutes. Spaniards seem to be able to slow down more and enjoy things which is something I think the U.S. could learn from. Throughout the day you see many people sitting and enjoying a coffee or pastry. It is rare to see someone getting food and drinks to go. Enjoying coffee and pastries at a cafe in Valencia. Electricity is very expensive in Spain, so they are very conscientious about conserving it. When visiting my friends who live with host families their houses are always dark unless there is someone in a room that is being used. Many buildings I’ve been in there are light switch timers that turn off the lights about 20 seconds after turning them on. 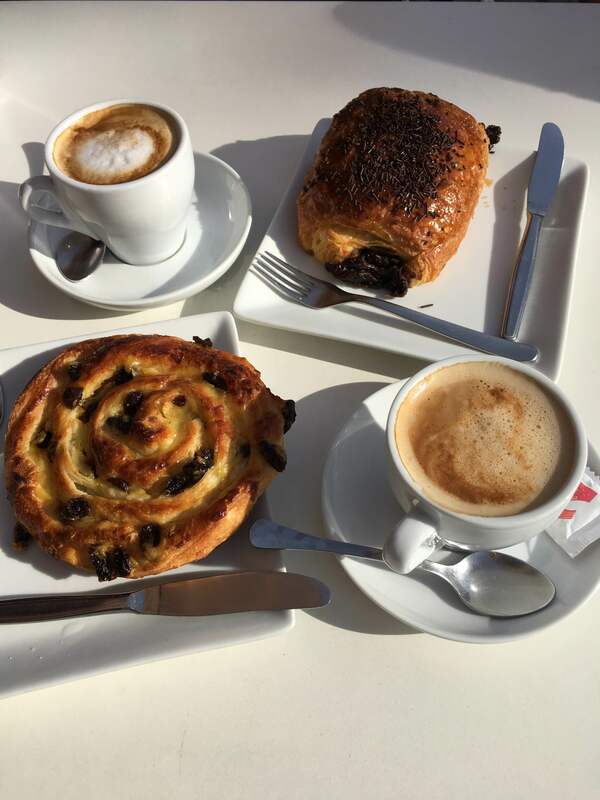 The portions in Spain are a lot smaller than in the U.S. For breakfast Spaniards will have a cafe con leche and a pastry. This is different for me because in the U.S. I’m used to a big, hearty breakfast with eggs and bacon. The lunch and dinner portions are also smaller than in the U.S. It took me a little while to get use to this, but now I’m full after eating every meal. Eating a delicious Palmier for breakfast. In the U.S. it is common for people to smile at one another while walking in the street. In Spain it is just the opposite. Spaniards are very friendly people, but in everyday life most keep to themselves and won’t even look at you while passing by. Gyms aren’t as big here as they are in the U.S. Most people here get their exercise by running, biking, hiking, or doing some other outside activity. One of my favorite things about Spain is how the people dress. Walking around everyone has a cool effortless style while still looking chic. I love how the girls here will pair sneakers with a dress or skirt. Spaniards take pride in how they look. I haven’t seen one person out wearing sweatpants.